Anonymous have new #OpEverest Against Nepal Government . The open letter to Govt of Nepal from Anonymous is as shown. 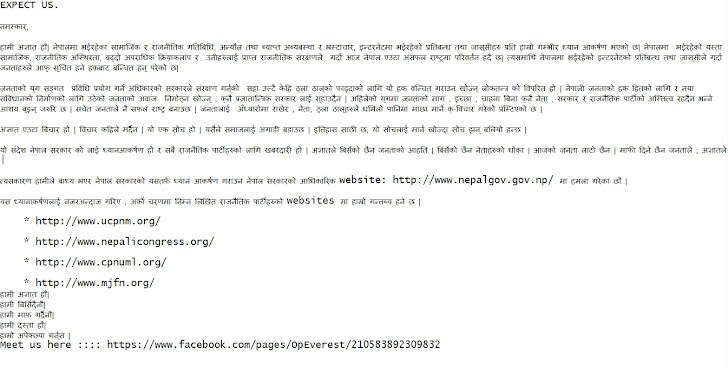 Nepal Government website is down because of DDos attack !